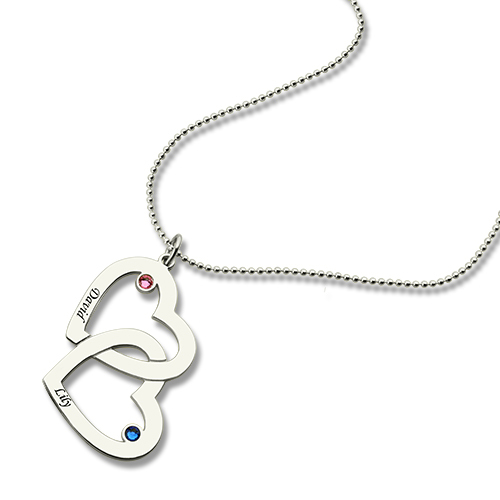 Mommy Double Heart Name Necklace with Birthstones - This sterling silver open heart pendant necklace makes a meaningful Mother's Necklace that is sure to touch her heart. Open Heart Pendant is inscribed with names. 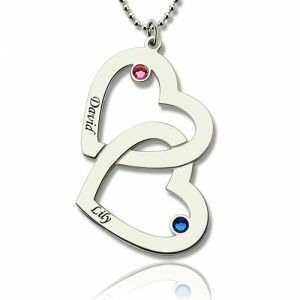 Order Love Mommy Double heart Charm Necklace for your special mom on Mother’s Day, push present for new baby gift, loss or memorial keepsake jewelry gift, or special occasion.